What better way to explore the Engadin and its dreamy side valleys than from the comfort of a romantic ride in a horse-drawn carriage. Whether by day or in the evening, enjoy the beauty of the landscape as you listen to the steady rhythm of the horses’ hooves. And on reaching your destination, why not savour a culinary treat or two before setting off on the journey home. The perfect way to experience the idyllic scenery of this unspoilt valley on a summer's day. 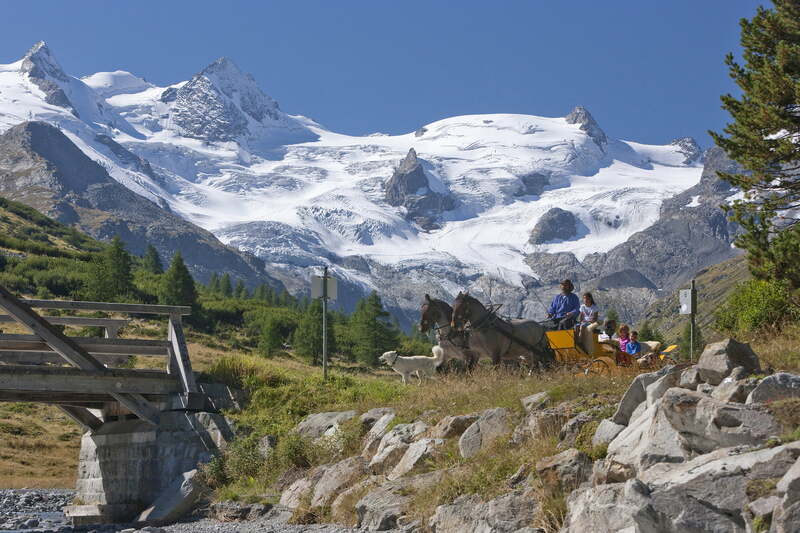 Take in the beauty of the Engadin on a leisurely horse-drawn carriage ride.